WASHINGTON (CNN) -- The United States had been suspicious of the Shifa Pharmaceutical facility in Sudan for two years, a State Department official said Tuesday, after a December 1996 report showed heavy security around the plant. The U.S. also had evidence of ties between Saudi-born millionaire Osama bin Laden and Sudan's military industrial complex, the official said. "We had previously collected samples from other suspected sites in Sudan," the official said, "but only the sample from the Shifa facility tested positively for chemical weapons precursors. We know of no other factors in the environment that could result in a positive EMPTA signature." EMPTA, the VX nerve gas precursor found in the soil samples, can be used in "certain insecticides, as the germination inhibitor for wheat, or in a chemical weapons test kit," the official said. "But after extensive research we have found no indication that EMPTA has ever been used commercially in any of these applications. "We have high confidence that the laboratory that analyzed the Sudanese samples and ultimately detected EMPTA did so correctly and in accordance with scientifically accepted procedures and protocols. The lab has a long history of doing quality analysis," the official said. The U.S. knew bin Laden had been pursuing the development of chemical weapons "within his organization and in cooperation with Sudan's National Islamic Front," the official said. 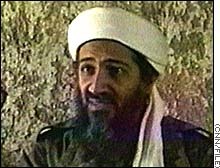 Bin Laden had worked with the Sudanese in the 1990s to test "various poisonous substances and to improve techniques for using and producing them," the official said. Bin Laden "has provided significant funding for Sudan to build its military-industrial complex," the official said. The National Islamic Front's leader Hassan al-Turabi has said bin Laden's organization would "furnish weapons and munitions for use against enemies of Islam." The official said a number of sources had indicated the owner of the Shifa plant was a "front man or agent for bin Laden." 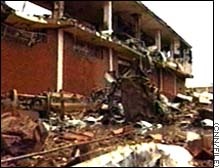 The manager lives in the house previously occupied by bin Laden when he lived in Sudan, the official said, and other reports indicated a bin Laden money manager claimed bin Laden had invested in Shifa. The U.S. also believes Iraq has been a "foreign benefactor" of Sudan's chemical weapons efforts. "Iraq admitted to UNSCOM that it planned to produce VX for its CW program using the EMPTA process," the official said. "And prior to the Sudanese soil sample, Iraq was the only country we knew of to have pursued this production process." Additionally, Shifa officials were in contact with Iraq about its VX program, the official said. Shifa had signed an agreement to provide veterinary drugs to Iraq as part of the oil-for-food program, but according to the United Nations, the contracted material was never delivered.